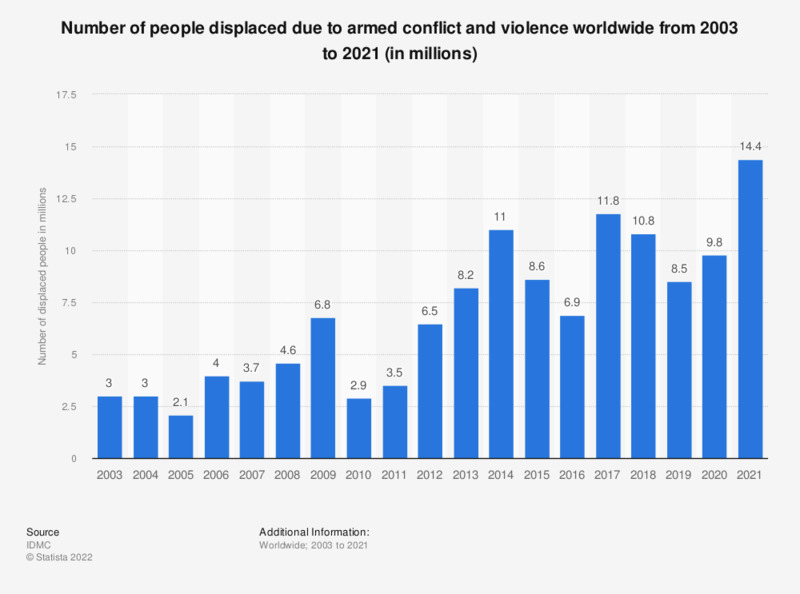 This statistic shows the number of people displaced from their home due to armed conflict and violence from 2003 to 2017. In 2017, about 11.8 million people around the world were forced to flee their homes due to conflict and violence, compared to 6.9 million in 2016. Do you agree that there are actions you can take to help promote equality between men and women?